The first armoured cruisers ? 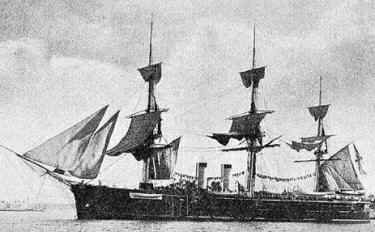 This pair of Russian Imperial ships are considered by John Francis Beeler (p. 222, British Naval Policy in the Gladstone-Disraeli Era, Stanford U 1997) to be the world’s first armoured cruisers. At that time, the Baltic has been pacified and now the old enemy of Russia was the Ottoman Empire, which boasted one of the most powerful fleets in the Mediterranean, counting dozens of ironclads, armoured frigates and corvettes. 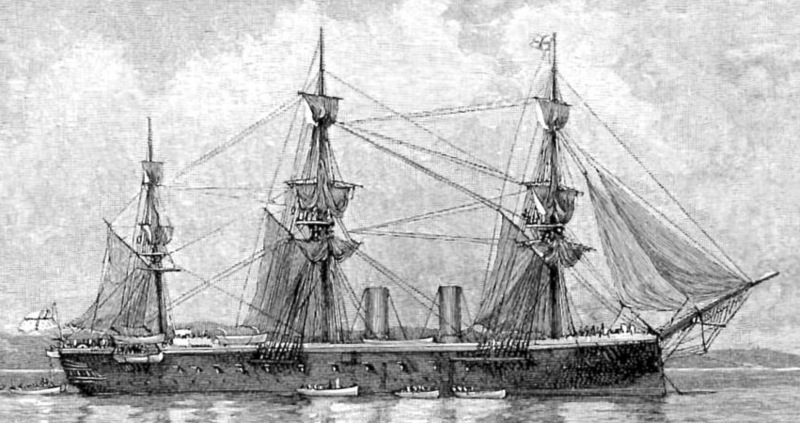 The Russian ships were classified first as “armored corvettes” before the plans were even laid down, then semi-armored frigates on 24 March 1875 as they were completed. In fact they resembled central battery ironclads, but to a smaller scale than actual capital ships. The armament was concentrated amidships and they had both a full sailing rig. The ships were named after, respectively, the Grand Duke Konstantin Nikolayevich of Russia and Alfred, Duke of Saxe-Coburg and Gotha. 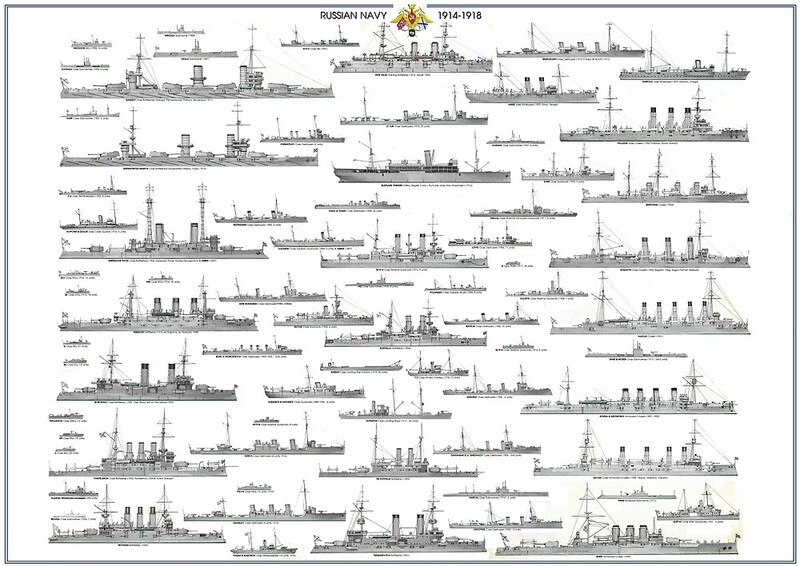 They entered service in 1875 and 1877 and had a fairly long and colorful career. 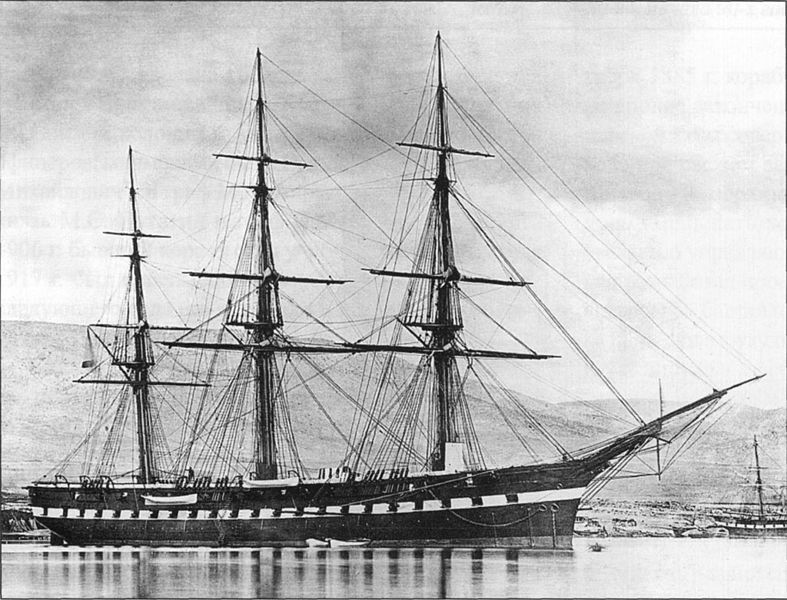 The previous General Admiral, 1857 Frigate of the line. As built they displaced 400 long tons more than the original design (5,031 long tons (5,112 t)). They measured 87.1 m x 14.6 m x 7.4 m (draft) or 285 feet 10 inches x 48 feet x 24 feet 5 inches overall. 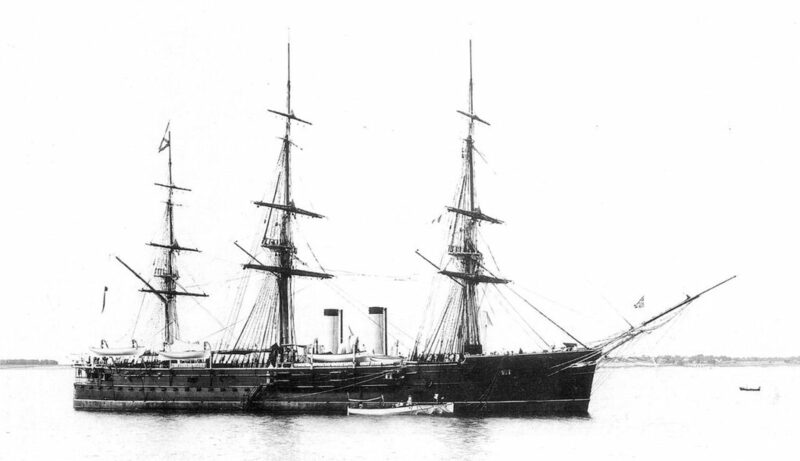 The General Admiral was laid down on 27 November 1870 and launched on 2 September 1873 and entered service in 1875 while the Gerzog Edinburgski was started on 27 September 1870, launched on 10 September 1875 and in service in 1877. Although externally similar, with about a completely different machinery, both ships tried totally different gunnery arrangement, not only in numbers but also in caliber: As an example, for secondary artillery, the first had 87 mm guns and the second 107 mm. 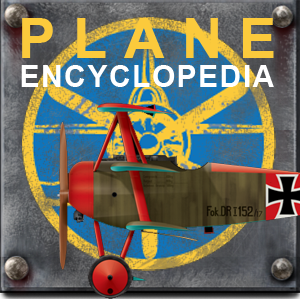 They were propelled by a vertical compound steam engine fed by four to five cylindrical boilers (General Admiral), which drove a single two-bladed, 6.25 m propeller. Working pressure was 60 psi (414 kPa; 4 kgf/cm2) for 4,772 indicated horsepower (3,558 kW) and 12.3 knots (22.8 km/h; 14.2 mph) observed on sea trials on the General Admiral and 5,590 ihp (4,170 kW) for 11.5 knots (21.3 km/h; 13.2 mph) for the Gerzog Edinburgski, not precisely blazing speed. To save performances both missed a ram but had a clipper bow instead. For autonomy, both ships carried up to 1,000 long tons (1,000 t) of coal for 5,900 nautical miles (10,900 km; 6,800 mi) at 10 knots (19 km/h; 12 mph). When under sail they could reduce drag by folding their single funnel while the propeller could be hoisted into the hull. 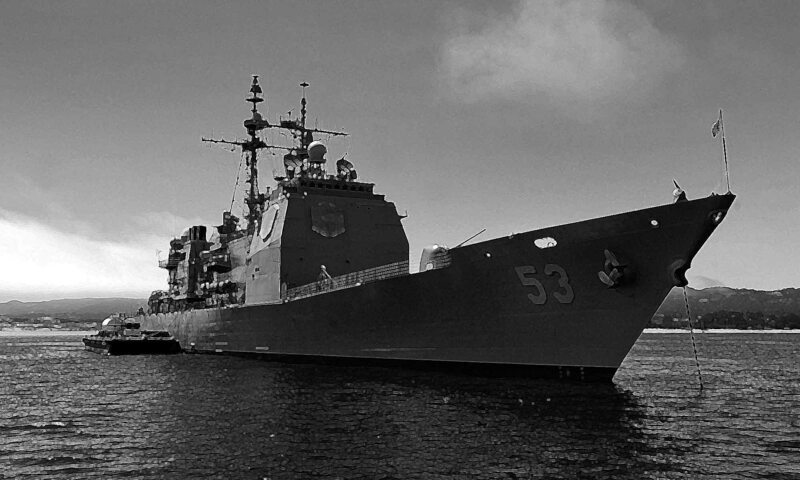 The General Admiral and her sister-ship were given a complete waterline belt. It was made ofwrought iron and 6 in thick in the center section, declining to 5 in (127 mm) on both the ends. 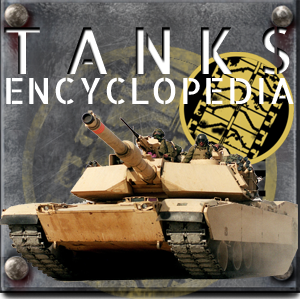 Its height was 2.15 m or 7 feet 1 inch, and 1.55m (5 feet 1 in) below the waterline while above, the central battery was 6 in thick, also with wrought iron armour plates. Both ships, built at Nevskiy Works, and Baltic Works at Saint Petersburg had a completely different armament: General-Admiral was given six 203 mm (8 in) as well as two 152 mm (6 in) and four 87 mm (3.4 in) rifled breech-loading guns (RBL). Her sister ship however had four 203 mm guns, five 152 mm, and six 107 mm (4.2 in) guns. Apparently none had torpedo tubes. 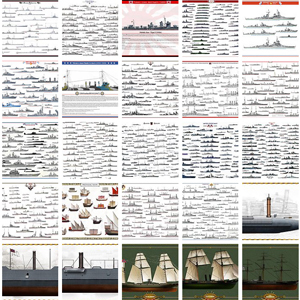 Like some other Russian ships of the same era, these ships had a fairly long career, although not always as cruisers. 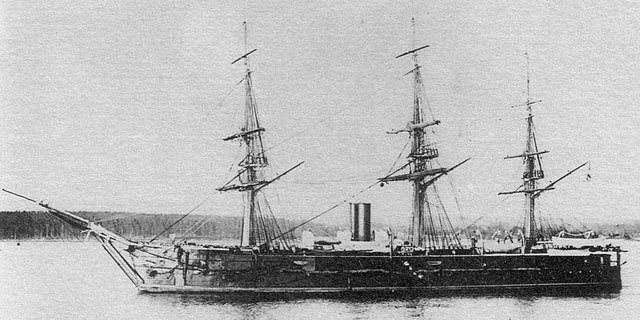 General-Admiral was caught in a heavy storm at Kronstadt in 1875 shortly after completion, went ashore and so she was towed to port for repairs. 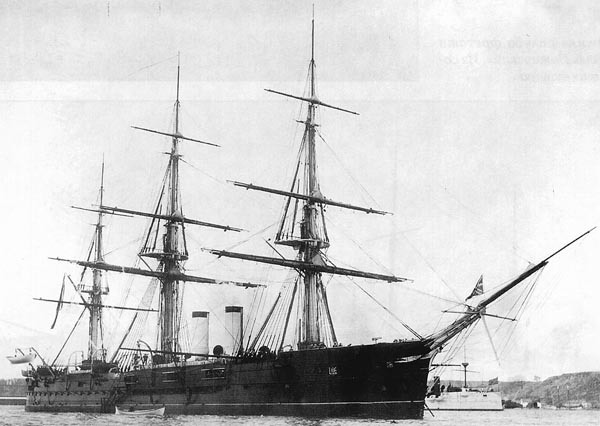 She therefore missed the Russo-Turkish War of 1877–78. 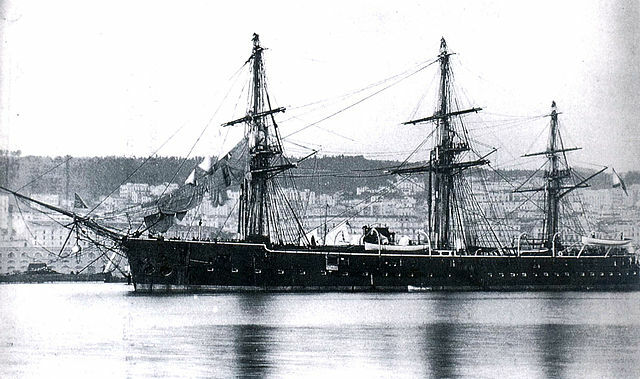 After repairs, she sailed for the Pacific in the early 1880s and spent 1884–85 in the Mediterranean. In 1886 she was back home for a refit, partially re-boilered while her foldable funnel was replaced by two non-retractable models andd a fixed propeller later in 1892 eplace the removable model going back to th sailing era. 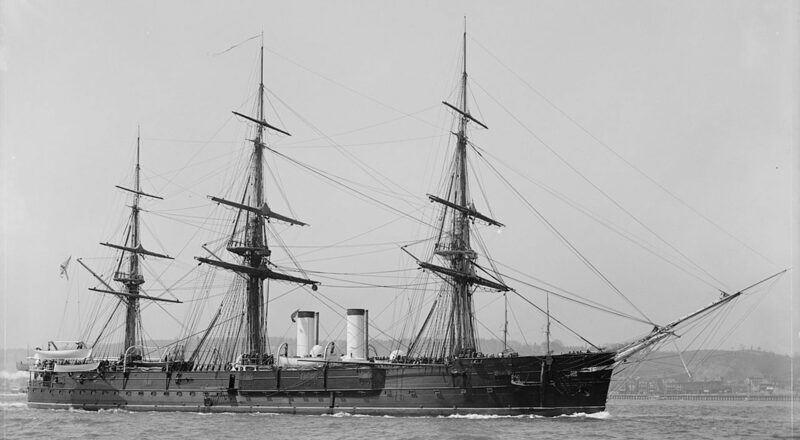 She was reclassified as 1st-class cruiser on February 1892, and then sailed to Hampton Roads, Virginia in 1893 for a review. She became a training ship the next year, and in 1906 was completely converted in that new role, with her armament reduced to the minimum. Gerzog Edinburgski served with the Baltic Fleet, made a Pacific cruise which lasted from 1881 to 1884, was refitted in 1890 with new boilers, a fixed funnel and later a fixed propeller later in 1897, together with new engines. 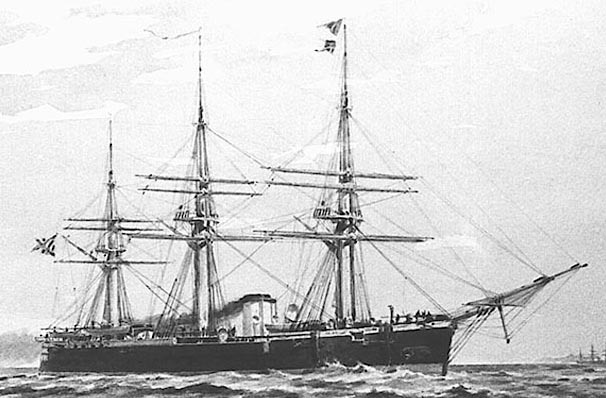 She was then used as a training ship for petty officers and later converted and reclassified as a school ship in 1906. However this new career was again put to an end, when both ships were converted into minelayers in 1908–11. To free the name for more modern units, both were also renamed Saint Petersburg lake, Narova and Onega respectively. 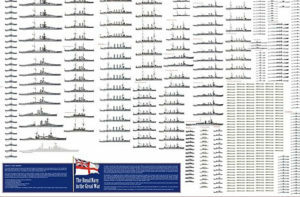 Their ancient rigging was removed and masts simplified to simple poles, the armament reduced to just four 75 mm or 3.0 in guns, but they could accomodate 600–800 mines. WW1: So as minelayers they took part in many missions in 1914-1915. By 1915 however, Onega was hulked and renamed Blokshiv No 9 used as a mine storage ship in Helsinki. The Narova, went on until 1918 in that role. According to The Treaty of Brest-Litovs, the Soviets evacuated Helsinki in March 1918 but both ships were not included in the evacuation before winter ice sets in. The Germans eventually agreed that they leave the harbor in May for Kronstadt. Under a soviet flag, Narova mined the approaches to Petrograd, empeding the British forces operating in the Gulf of Finland, and was finally renamed (third time) Dvadsatpyatavo Oktyabrya or “25 October” by 1922. Although her sister Blokshiv No. 9 was reported broken up in the 1920s, her sister-ship Dvadsatpyatavo Oktyabrya became also a mine storage hulk in 1938. She was afterwards sunk deliberately to served as a breakwater in the Neva River in 1959. At that time, given the fact she has been laid down in 1870, the cruiser was 90 years old ! 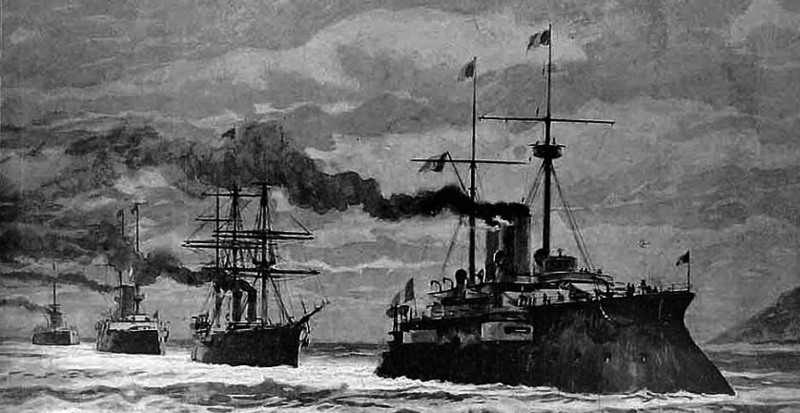 Illustration of the International Squadron arriving at Suda Bay, Crete, on 21 December 1898. Behind Bugeaud, carrying Prince George of Greece and Denmark en route to Crete, is followed by Gerzog Edinburgski and the battleships HMS Revenge and Francesco Morosini behind.